This project started life as a prototype design, developed with Architetcure00, with the aim of creating a space for the community that would build interactions and networks around shared interests. 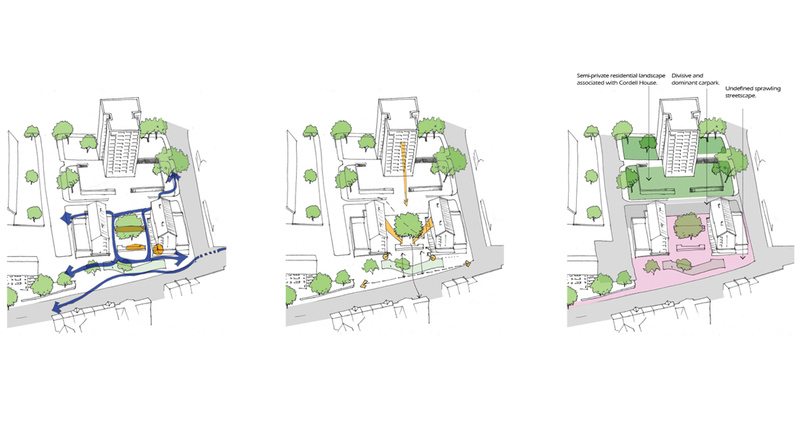 It has now evolved into a community ‘pocket’ park. Our plan involves the removal of existing planters and walls to allow both movement through and views across the site, making it feel less restrictive and more welcoming. The new landscape will provide a more flexible space for the businesses based there and for the surrounding community. 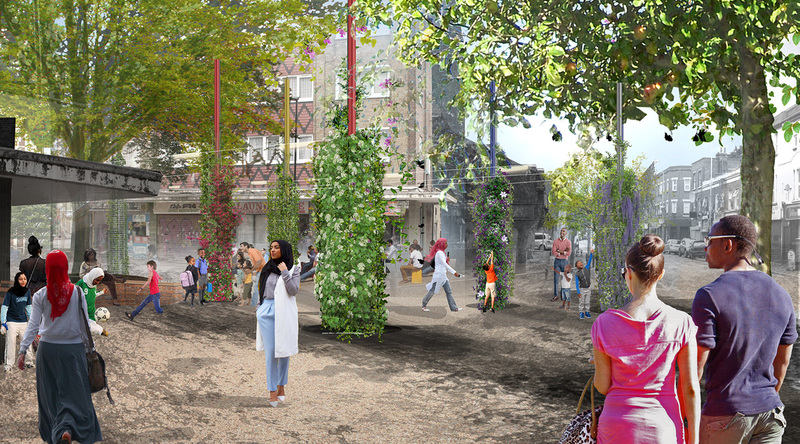 Into this unified ground plane we are introducing planted columns which will be staggered throughout the square. 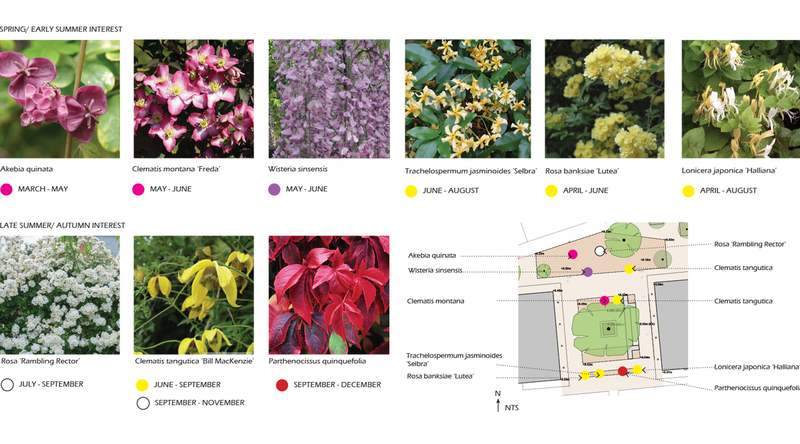 The climbing plants that will clothe the columns have been chosen for their seasonal colour and scent and for their ability to provide food and homes for birds and insects. The initial planting will be done by the local school and each column will be unique. The aim is for them to become totems of nature within this very urban part of London. 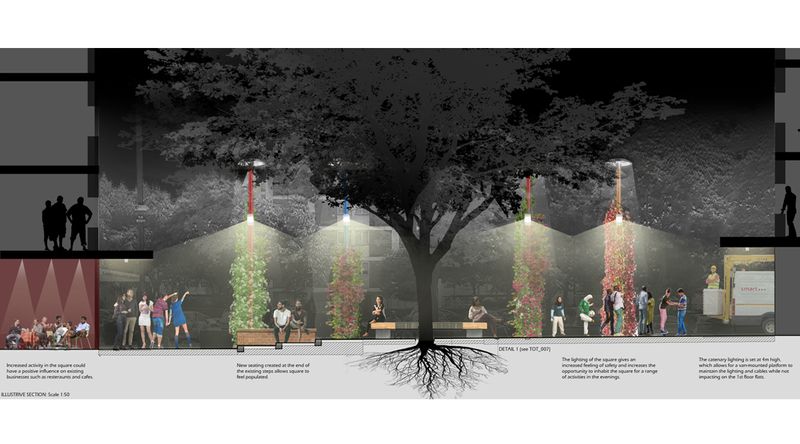 Above the ground plane a simple (suspended) catenary lighting scheme will light the entire square and create a focal point along the Seven Sisters Road. The lighting scheme will also help to deter anti-social behaviour and allow the square to be used for evening events. Site analysis and community understanding has been key in helping shape the design. 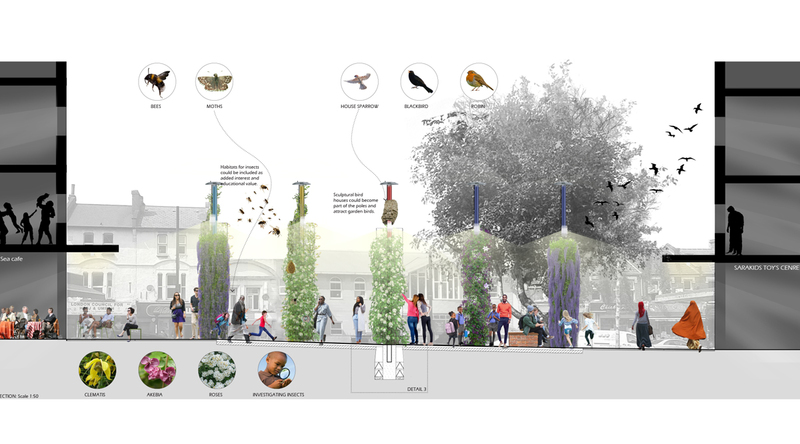 The planted columns will become engagement totems for people, and homes for birds and insects. 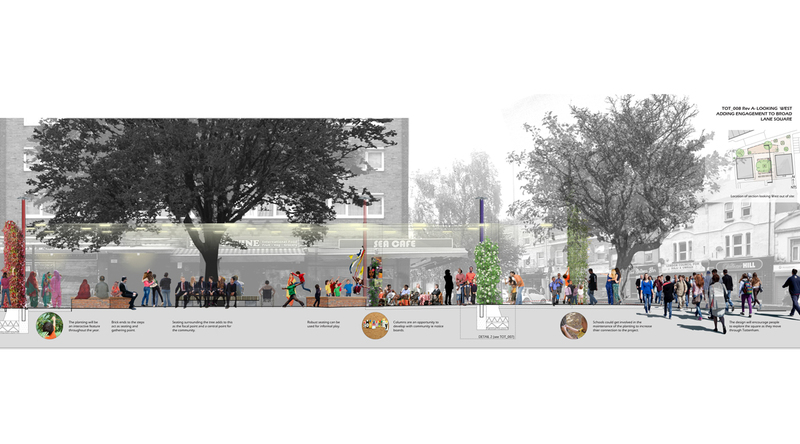 The catenary lighting scheme will help to unify the square and provide a usable community space.